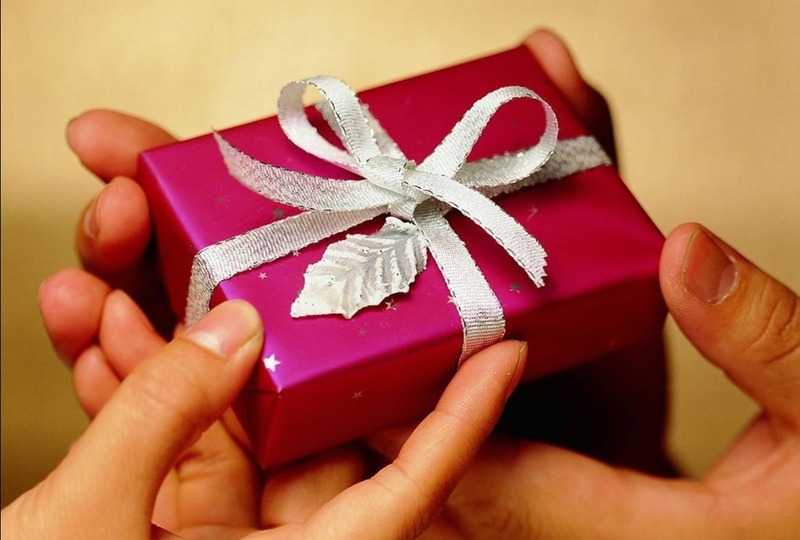 Growing in love through service: What will you do with your gift? Last time we opened our eyes in “doing something” for God. The easiest way to do this is to fill up on love from God and allow his compassion to work through us. God then brings us people that are prepared for our ministry, they are like divine appointments in what Heidi Baker calls “stopping for the one.” We can plan all we want, but it’s about God’s love and his timing. Be sensitive to the Holy Spirit’s leading. Love looks like something. The help you give to one of these is usually practical, but also can be encouragement when they need it the most. I am always amazed how deep the love of God is and that he chooses to use us as his sons and daughters. If we are to grow in ministering his love, we must grow in receiving that love. How deep is God’s love? In our last article, I mentioned Ephesians 3: 17-20 as a pivotal passage. In short, God’s love runs deeper than you can imagine. And we must love. The greatest commandments tell us to do so. Jesus reminds us in Mark 12:30-31 of the first commandment. That is to “love the Lord your God with all your heart and with all your soul and with all your mind and with all your strength. The second (greatest commandment) is this: ‘Love your neighbour as yourself.’ There is no other commandment greater than these” (Mark 12:30-31 NIV). So the first commandment is stopping for the One (God) and the second is stopping for the one (our neighbour, or person God brings us). Yes, stopping for the one may involve some risk, but I believe that God has prepared that divine appointment for you and me. He also equips us and gives us what we need. Now let’s get our eyes off our own insecurities and flip our understanding upside down. Remember the parable of the prodigal son? This story is made even more powerful when we look at the father’s perspective. The father risked to run after his wayward son and was filled with deep compassion. He didn’t care that his son was in a bad state, he went to him anyway. “While (the younger son) was still a long way off, his father saw him and was filled with compassion for him; he ran to his son, threw his arms around him and kissed him” (Luke 15:20). He then gave his son a huge welcome and threw a lavish party. That shows mercy. That shows deep compassion. That shows deep generosity and even risk. So the story becomes the parable of the merciful Father. So it is the same with the Father (God) who gives us our ministry gifts. Some of these are natural skills and gifts. Some of these are spiritual gifts, as shown in 1 Corinthians 12 and Romans 12 (and a few other places). We must use these gifts – we are accountable to God to use what he has given us. 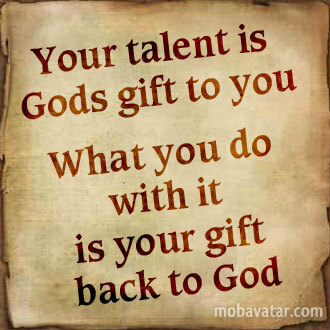 Remember the parable of the talents? Read Matthew 25 14-30 in the NASB version. A talent during New Testament times could be 130 pounds worth of silver or gold. This could be worth up to nine or ten years of labour or more. This amount would be worth even more today. So when the master entrusts his servants with five, two and even one talent(s), that was a lot of resources! No wonder the servant entrusted with ‘one talent’ was frightened! Even that was a lot of money – it wasn’t just one coin! Yes, it is true that the master was upset with the third servant for not using what was put in his care. He is called a “lazy servant,” or in the NASB version, “a wicked slave.” The Message version calls the servant a ‘criminal.’ Oh, I can see that cringe on some of your faces as you read this. I’ve always felt bad about that passage too. However, I’ve discovered that this passage isn’t just about guilt in not using what we’re given. It’s so much more than that. Matthew reminds us to be ready (as shown in the parables of the Virgins and the Sheep and the Goats), but underneath that it’s also about believing God and having faith in his promises. Faith involves risk. The Message version shows that the master makes the first and second servants partners because they stepped out in faith and used the ‘gift’ the master had given them to use. The master told both of them, “Good work! You did your job well. From now on, be my partner.” (Matt 25: 21/23 MSG) The third servant was told “Take the [talent] and give it to the one who risked the most. And get rid of this ‘play-it safe’ who won’t go out on a limb” (Matt 25:28-30 MSG). Eugene Peterson calls this parable the ‘Story about Investment,’ but it’s not just about money. It’s about God’s investment and risk in us. It’s about opportunity. We still have that opportunity before us as long as we are breathing! We are cautioned but not condemned! We still have a chance to obey and make it right. We can still make a difference. It doesn’t matter how old you are. You don’t have to be young to work for God. Remember Joshua and Caleb in Numbers 13? They were the Israeli spies who believed God when they went on a reconnaissance mission in Canaan. But the others did not believe and held the people back by their reports of giants in the land. People were too afraid to trust God. Caleb was 80 when Israel was finally ready to cross the Jordan into the promised land. Joshua was also a senior when he led the people against Jericho, under the instructions of the Captain of God’s army. These are only two of the stories. Youth also is not a barrier, as the Apostle Paul encouraged his spiritual son Timothy. Paul advised, “Don’t let anyone think less of you because you are young. Be an example to all believers in what you say, in the way you live, in your love, your faith, and your purity” (1 Tim 4:12 NLT). So we are without excuse. But instead of serving God as just an obligation, turn it around. It’s an opportunity, not a duty. This is your chance to contribute what God has uniquely given to you. You have a special piece of the puzzle! Paul reminds us that “ Each believer has received a gift that manifests the Spirit’s power and presence. That gift is given for the good of the whole community “(1 Cor 12:7 Voice). This means that you (yes, you) really do have a part to play. It may take time to find the way you need to serve. But start with something small. Use the gifts that you know you have. I’ve been using my gifts and skills in volunteer service. These range from writing and administration, to audio production and other media, as well as hospitality and encouragement. Each of these skills are a part of me. Think of the gifts God has given you – anything at all. Have you offered them up to God? Will you let God transform them into a blessing? Then there are the spiritual gifts – he gives those to minister to people around us as well. The Holy Spirit gives these gifts as he decides is best (1Cor. 12:11). As we begin to use our gifts in service to the Lord, something wonderful happens in our hearts. This isn’t just any service, but the right gifts needed at the right time. It could be as an engineer drilling wells for water in Africa. It could be an elementary school teacher who has become a home mother to African orphans. It could be as a pastor to go into the marketplace and start something new. It could be an out of work media person becoming the front line of a drop in ministry centre. All of these examples involve something cutting edge that keeps us leaning on God’s grace. It keeps us depending on him for the compassion, mercy and guidance that only God can give. It is when our difficulties become his opportunities, and we see amazing things that can happen when we allow God to work through us. May your attitude be as that of Christ – who being in the very nature God, did not consider equality with God something to be grasped. But made himself nothing, taking the very nature of a servant, being made in human likeness. And being found in appearance as a man, he humbled himself and became obedient to death, even death on a cross! Therefor God exalted him to the highest place. And gave him the name that is above every name. That at the name of Jesus, every knee should bow. In heaven and earth and under the earth, and every tongue confess that Jesus Christ is Lord… to the glory of God the Father…. So as we allow ourselves to depend on God in our service, our attitude changes. When our attitude changes, we can grow deeper in joy while serving him. In some ways this is a cyclical process, but it is also a process that deepens us, because it strengthens our dependence on God’s promises and resources. And since God is always faithful in his promises and his love, we also step into gratitude and thankfulness. Gratitude and thankfulness that God gives us opportunities. He risks in giving us the grace for everything we need as we use our gifts. He risks everything for relationship with us. For this we can be thankful. So what will you do with your gift? Next time we will explore growing through that gratitude and thankfulness! Laurie-Ann is an Ottawa-based media person, and attends St Paul’s Anglican Church in Kanata and Kingdom Culture Ministries in Gloucester, Ontario. She could be available for to teach and encourage at your Christian event (click on the contact us/see L-A in person link at the top of the page).